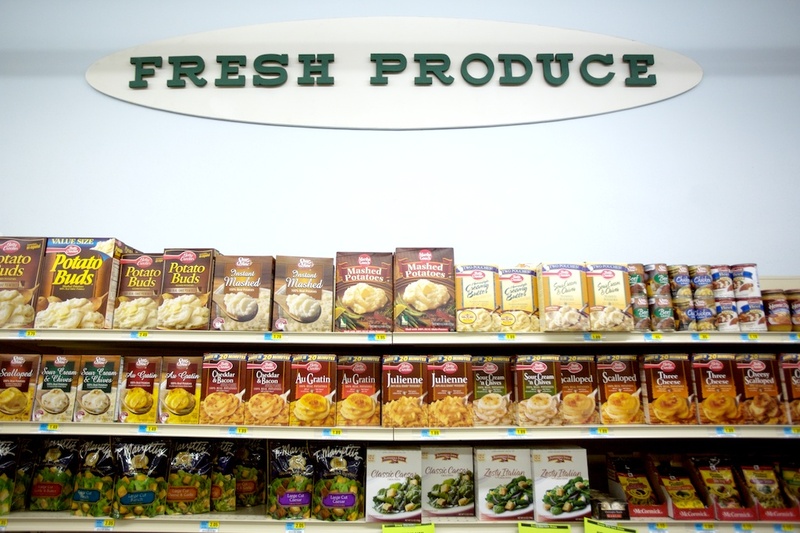 Somewhere in the Middle of America – Fresh Produce. Boxes of dry food fill the shelves of the fresh produce section at the Farmers Co-op Association grocery store. Despite the area’s roots in agriculture, local food can be hard to find. With the small city of Hastings 40 miles away, many residents have turned to the lower prices of bigger stores. The Farmers Co-op is now the only grocery store in Red Cloud.